Harlan B. Gothelf - Syosset Animal Hospital. Dr. Gothelf graduated from Tufts University School of Veterinary Medicine in 1999. He also attended undergraduate school at Tufts where he earned a B.S. in Mathematics in 1994. 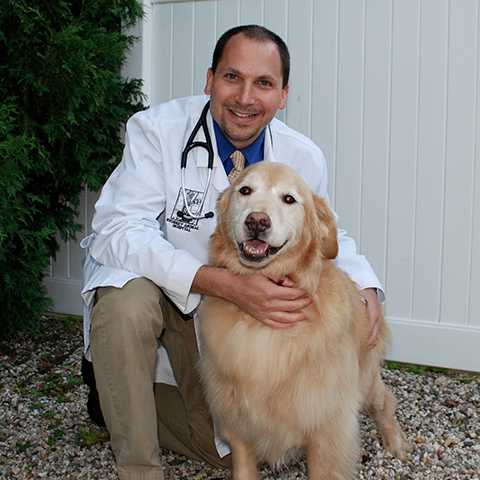 Upon graduation from veterinary school, Dr. Gothelf moved back to practice on Long Island where he grew up. Dr. Gothelf’s special interests include endocrinology, soft tissue and orthopedic surgery, and minimally invasive surgery/procedures (endoscopy, laparoscopy, ultrasound). He is a member of the national, state and local Veterinary Medical Associations. Dr. Gothelf enjoys meeting with the clients, caring for their pets, and nurturing the human-animal bond.